A handshake begins Game 6. LIVE Game Link. Watch Game 7 on Wednesday, October 4 at 7:00 a.m. Eastern. See REVISED full match schedule below. 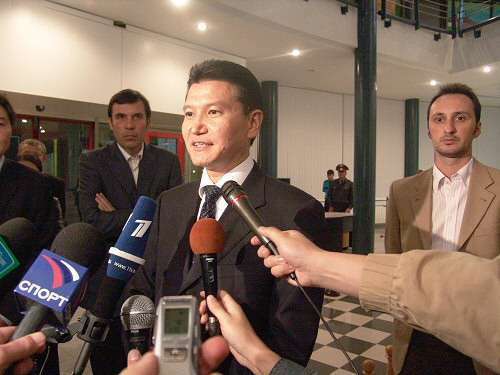 A relieved President Ilyumzhinov tells the press the match is on. On behalf of the millions of admirers of your chess talent and the citizens of the Republic of Kalmykia, I would like to express my sincere gratitude and thankfulness for your wisdom, flexibility and understanding of the current situation which were shown in your decision to continue the Match. 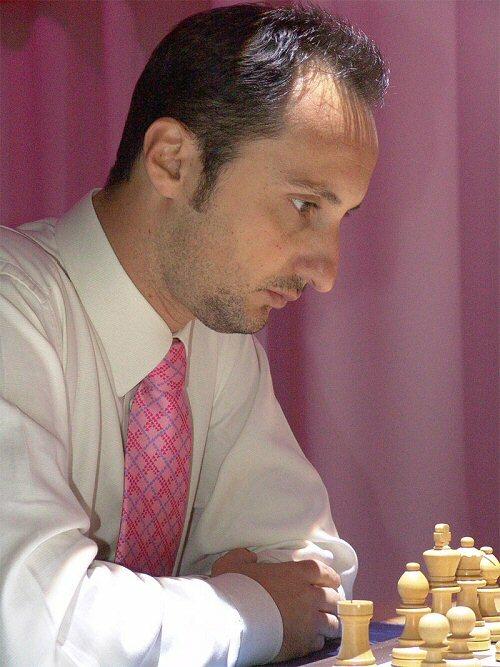 I am sure that this step would promote the further Unification of the Chess World and attraction of the new amateurs and fans all over the World. I would like to wish you success and all the best! We are writing as a small group of Grandmasters, but we believe that we represent the views of the vast majority of our colleagues. We simply wanted to let you know that we think you have suffered a gross injustice, and that you have our support. We appreciate that you are now under immense psychological pressure, and that it must be difficult to continue to play well in the context of such blatant bias, unfairness, and hostility. Good luck in the days ahead. If you manage to win in these circumstances you will be a worthy champion indeed.